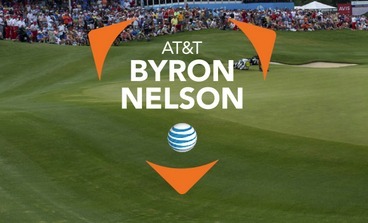 The AT&T Byron Nelson Championship is one of the lesser events on the PGA Tour schedule but it is usually a superb event from a betting perspective and hopefully that’ll be the case again this year. It takes place in Texas at the five star Four Seasons Resort and they’ve had a lot of rain in recent weeks and more is expected. This year’s favourite is unsurprisingly the world number two, Jordan Spieth and I must admit he’ll be hard to beat this week. This week’s venue was opened back in 1983 when the course was designed by Robert Trent Jones Jr. Since then it has been remodelled and renovated on a number of occasions and was renovated most recently by D.A. Weibring in 2008. The scoring this week will depend on the weather, if the wind does get up expect the winning score to be around the 5 under mark. TPC Four Seasons is one of those strange courses that doesn’t particularly suit the longer hitters or the accurate drivers, both have fared well around this testing track. A couple of attributes which do stick out to me are putting and scrambling. A good week around and on the greens is crucial in my opinion, therefore I’ve opted to back players who are very good scramblers and putters. Four of the last five winners of the Byron Nelson Championship have finished the year inside the top 51 in either the strokes gained putting statistic or the scrambling statistic the year they won. Jordan Spieth – I simply can’t ignore Jordan Spieth this week, he’s having an outstanding year. He has already won twice on the PGA Tour and that includes The Masters. He has also finished inside the top ten on six occasions this year. Last week Spieth finished second in the Crowne Plaza Invitational despite making a triple bogey in the second round, this shows his game is in very good shape. Admittedly Jordan Spieth’s course form isn’t excellent however it is only this year he has turned into one of the best golfers in the world. 5/1 may seem like a skinny price but when you consider how well he has performed this year and how close he came last week I think it is worth an investment. Scott Piercy – I’m a big fan of Scott Piercy and he has a great chance of winning this week in my opinion. The American has had a very good season thus far, he’s recorded three top tens and that includes a second place finish in the Sony Open. Last week he finished 43rd in the Crowne Plaza Invitational and hit a solid 70.83% of greens in regulation. Course form is important this week and Piercy’s is impressive. In his last three visits to the TPC Four Seasons Resort he’s finished inside the top 26 on each occasion and most recently finish 5th. These results suggest he can perform well and potentially win this event. Danny Lee – Danny Lee won’t be an obvious selection to many this week but he is to me. The TPC Four Seasons Resort is where Danny Lee spends his time practicing and playing therefore he will know the course and area well, this is a huge advantage. Danny’s course form is very good, he finished 13th around this course in 2009 and 19th in 2012. As well as good course form, Lee is in good form. He finished 13th in the Wells Fargo Championship two weeks ago and 10th in the Crowne Plaza Invitational last week. I really like Danny Lee’s chances this week and 125/1 appears to be a steal of a price.